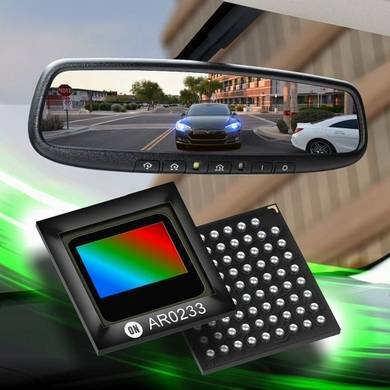 The AR0233AT image sensor delivers exceptional sensitivity for a wide variety of automotive applications. Built on a 3 mm Back Side Illuminated (BSI) pixel, the sensor provides greater than 140 dB of dynamic range and excels in low light conditions. It features an active array size of 2048 x 1280 with 1080p output at 60 frames per second. The new pixel technology includes LED Flicker Mitigation (LFM) while maintaining high dynamic range output, limiting the appearance of flicker from LED lighting and AC sources particularly important for camera monitor system (CMS) applications as well as machine vision algorithms. The AR0233AT is available in multiple automotive qualified package options including iBGA, CSP, and bare die. It is ASIL-B safety design compliant per ISO26262 and supports ASIL-B or higher safety ratings for camera systems. The sensor is compatible with image signal processor (ISP) companion chips from ON Semiconductor as well as third party ISPs. Ссылки на другие веб-сайты "AR0233AT2C17XUEA0-DRBR-E"